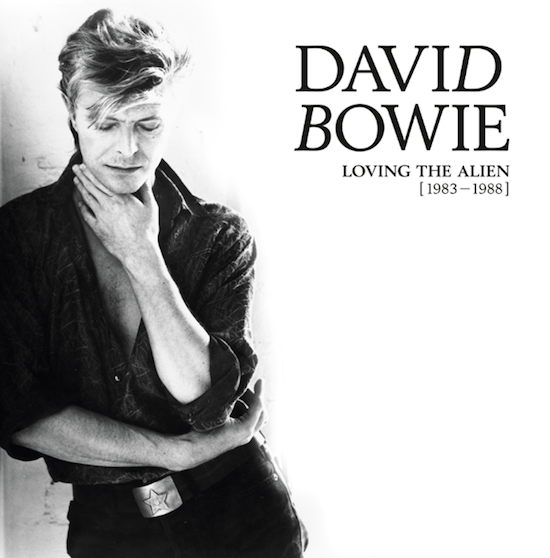 David Bowie’s social media team are streaming an unboxing video for “Loving The Alien (1983-1988)”, the forthcoming box set that highlights the late musician’s work throughout the 1980s. The set delivers a brand new production of 1987’s “Never Let Me Down.” Inspired by a 2008 remix of the track, “Time Will Crawl”, the full album was re-recorded earlier this year by musicians who had played with Bowie, including guitarists Reeves Gabrels and David Torn. The physical box set’s accompanying book, 128 pages in the CD box and 84 in the vinyl set, will feature rarely seen and previously unpublished photos as well as historical press reviews and technical notes about the albums from producers/engineers Nile Rodgers, Hugh Padgham, Mario McNulty and Justin Shirley-Smith.